And will they hire you or call you to start your process after reading your emails? In 2015 alone I wrote more than 500 emails for myself, the Agency and my clients. I write a lot. And test a lot. Try things out. Today I have a new video for you thats walks you through a 3-step campaign I created for a client that did these 3 things. Think you’re going to love it. If you would like to learn more about hiring the DNA Marketing Team for your business, email greg@dnagency.com or call 800.980.1626. And let us know what you think about writing emails and what is something you are going to try after going through this training today. I’ll be reading and responding to all the comments below. This might sound crazy, and I’d tell you it was crazy too if I didn’t see this happen to me first hand. When I mail out my proposals, people read them. They feel like something really important is on there. In fact, when I recently went into the office of a prospect to go through my proposal, which was for just north of $90,000, the deal was closed before I even went through what I wanted to do for him. He saw the quality that we even put into the paper and he knows that he is going to get that same quality when we start building campaigns for him. Take 10 minutes out of your day and watch the above video now. Then, do me a favor. Tell me what impression you think your materials make when you hand them to someone with whom you want to do business with. If you’re a financial advisor and you are trying to get someone to take $1,000,000 that they’ve spent their lifetime building and you hand them a card that looks like it was printed on a 1980’s laser jet, what do you think they would think about you? The way the world perceives you is really important. And that goes for people that are really good at what they do. Present yourself well. Look like the expert you know you are. Details on how to do so are in this fancy pants white board video I filmed for you above. So it makes sense that when we see something or feel something from a person, brand or business we make a snap judgement about them. And just as you make a first impression about someone or something, so do your prospects about you. This first impression can come in the form of an ad or commercial, it can be an email interaction or something on social media. It can also be handing someone a business card or getting a letter in the mail. How You Show Up Matters…A Lot. In this new video, Best-Selling Author Greg Rollett reveals the importance of first impressions and how you can ensure that you don’t turn someone away before you ever get the chance to help them. What do your first impressions look like? Where can they be improved? Do you need help in creating pieces that grab hold of your market’s attention and gets them to understand that your message is important? For more information, click here to watch this presentation now about hiring Greg and the DNA Marketing Team. If you haven’t seen this video, click here to watch it now. Today I want to share with you how to properly create a special report that window shoppers and prospects will actually give you their contact information for, as well as connect with in order to become one of your clients or customers. Do you need help putting together a special report to drive prospects into your business? Do you need a strategy to market your special reports and get them in front of the right customers as well as a conversion system to turn your leads into customers? Last year I was invited to present to a group of elite level professionals, CEO’s and experts in the automotive world. These guys are already rock stars. Top earners. High performers. My good friend Tracy Myers runs the group along with Troy Spring and they asked me to talk about becoming a celebrity in their local markets. This is important. Very important. Especially for folks in the car world. And the financial world. And the real estate world. And the dental world. And on and on. Because of how we develop trust in people. Then we have to like you. And then we get to trust you. Being a celebrity helps with all 3. Check out this full presentation from Tracy’s group to see just how you can develop unbreakable trust in your market by becoming the Celebrity Expert(R). If you have any questions about how we can help you to become the Celebrity, either through developing media and PR to tell your story, or by creating a marketing campaign that actually gets the attention of your market, simply email greg@celebrityexpertmarketing.com. After downing a Bulletproof Coffee this morning I sat down to my pile of mail, magazines, newsletters and printed out posts and stumbled upon an article that intrigued me more than usual. Quick note, the article itself is a little controversial and has some foul language. It was printed in the November issue of Men’s Journal Magazine. 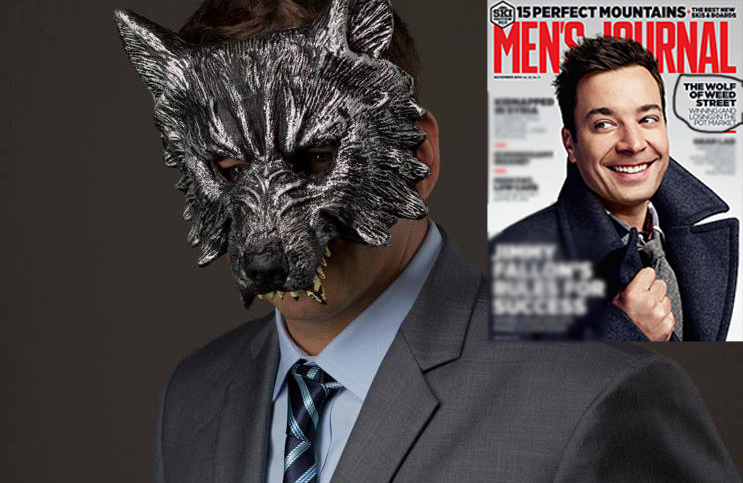 The cover features Jimmy Fallon, my new favorite person, eclipsing Mr. Seacrest, oh whom I bear no resemblance. Anyway, the article is about a guy named the Wolf Of Weed Street. A play off the Jordan Belfort character, the Wolf Of Wall Street, one of last year’s biggest and most controversial movies. This new age Wolf, consults his tribe, the Wolf Pack, on penny stocks that deal with, you guessed it, the green plant. Now, I know you are not sending your clients stock picks like this, that is not the point here. The point is that this guy, with no background like yours, without any track record of helping clients like you do and with no personal morals, has amassed 21,000 followers on Twitter who follow his every move. This is insane, you might be thinking. Here’s what I want you to start thinking about. We trust characters. We trust celebrities. We want to be led by someone we believe in. The biggest names in your industry fit this bill. Your competitors, local and national, have become characters that take up social capital in the lives of their clients and those that follow them. The big news yesterday was the announcement of the next set of Marvel Comics movies. 12 new movies, all centered around characters. When Disney purchased Marvel in 2009 for $4.64 billion dollars, they were buying the characters. We fall in love with characters. And their stories. That is what this Wolf has done. He has become a character to believe in. And he has found a media in which to communicate with his tribe. How are you developing and communicating with your tribe? This is the most important question you can answer about the lifeblood of your business right now! Are you sending them print newsletters, that they look forward to receiving and reading on a monthly basis? Are you making sure you stay top of mind with your clients so they bring you up in conversation, willfully, in social situations around the people that would make an impact in your business….and your life? This Wolf sure is. People are talking about him. Major magazines are writing about him. What are you doing that is worthy or being written about? Talked about? Shared? For those curious, you can read the article here. Let me know what you think about the Wolf and more importantly, what you are doing to develop your own character into the lives of your clients, prospects and local community? P.S. I have a big announcement about the December Marketing Playbook for our Ambitious Advisors that I should be sending out Friday or Monday. Can’t wait to share that with you. Spoiler alert – the theme is all around It’s A Wonderful Life. Ambitious Advisor members will be receiving their new marketing binder and raw files on Monday. P.P.S. This article and a few others I have been collecting and highlighting, making notes on and action steps are being mailed to all the Ambitious Advisor members today. If you like being in a secret society that has this type of intel, a done for you marketing component to talk to your clients, prospects, referrals and cold traffic, develops your print newsletter for you and coaches you along the way, just reply so we can talk more about the program. Quick warning: I only accept 1 financial advisor per market. And markets are filling up quickly. That means that the last thing you want to be known as is a salesman. A salesman works with a powerpoint presentation. A salesman cold calls. Salesmen go to networking events and pass out business cards. Salesmen have proposals and put in bids for jobs. Experts on the other hand are sought out. They are referred to. They are closers, deal makers and hand shakers. You want to be an expert. More specifically a Celebrity Expert(R). The most known expert in your niche, market or industry. And this doesn’t usually just happen by chance. A Celebrity Expert(R) stands at the top by design. By engineering and manufacturing the process through which they are seen and how prospects and customers work with them. This is done through positioning and the job your marketing materials, sequences and funnels do to position you as the expert. It starts with the way someone finds you. From the ad or mail piece, the online video or your website. That first impression says a lot about how the relationship will move forward and how the prospect views you and your ability to help them. But it’s what happens next that is so important. Your followup matters. The way you answer the phone matters. The emails, letters and packages you send (or don’t send) matters. All of these things play a role in establishing your positioning and framing the way in which your interaction is going to go when you get face-to-face with your prospect. Let’s look at it from 2 angles. You have someone who goes online, does some searches and finds your website. They like what they see and submit a contact form for more information. They get a generic brochure that has your bio and mission in it and get a phone call 2-3 days later to book an appointment. They book the appointment to come into the office. Ok, now let’s look at another angle. You have someone who gets an 8-page sales letter in the mail that explains the problem that the person is having in vivid detail, like he was sitting at the kitchen table listening to his conversations with his wife. That night he goes online to learn some more about this person that sent the letter. He sees videos that were seen on ABC, NBC, CBS & FOX and is able to download a chapter from his Best-Selling book while requesting a complimentary 30-minute Evaluation using our proven 8-step system for fixing problems like yours. Then they are called within 24 hours not only to schedule the call, but to make sure they got the copy of the chapter from the book and to confirm their contact information, including their address, so they can send out a quick package before the meeting. On top of the call, there is a series of 3 emails, that all have ties to building the Celebrity of the expert before the meeting, with links to videos, testimonials and case studies. Each email reinforces the positioning and gets the prospect eager to get to the meeting so they can have their problem solved as well. Then the package goes out with a personalized welcome letter, a printed copy of the book chapter, the most recent print newsletter as well as a magazine feature, tearsheet from their feature in Forbes magazine and a DVD from their TV Show appearance. This is all before they come in for the meeting. Now, from the 2 scenarios, who gets the business? Who is positioned like a Celebrity Expert(R) and who as another salesman? Who will not have to fight any price resistance? Who is more trusted? This is how you are seen as a Celebrity. You are literally everywhere the prospect turns. From their inbox to their mailbox to their phone. They can’t help but think about you and how you can help them. All of the information you are sending them is helping them to solve their problem, not telling them about your mission or how great you are. That happens naturally when you are sharing valuable content. I hear time and time again from clients who we have created this system for who cannot believe the difference in the demeanor and the excitement people get when they get to shake hands with “the author” of the book who sent them something in the mail. Today I am calling to action all experts to be experts, not salesman. Look, we are all selling our products and services to make a living. But I’d much prefer to add value and help people improve their lives than peddle my stuff from door-to-door. It doesn’t mean that we are not selling, it just means that we are controlling the process so it doesn’t feel like selling. Because people want to buy and they want to be helped. But they want to feel like they made their own decision to get there. Your job is to help them along by being positioned as the person that can get them there. It’s time to start building your own Celebrity Funnel so the next time you meet with a prospect they have already been pre-sold to the solution you are providing to them and there is no one else even on the playing field. And if you need help putting together your own Celebrity Funnel, I’d love to schedule a complimentary 30-minute call with you to map out your Celebrity Funnel. All you need to do is click here and you will be automatically sent to my calendar where you can book a time for the 2 of us to talk. There is no obligation and if you feel like I can help you, we will mutually decide to work together. Or, I will just give you my honest advice to help you grow your business. Either way it’s a win-win for you. You have absolutely nothing to lose. Greg Rollett a Best-Selling Author, Radio & TV Host, Emmy Nominated Producer and the CEO of Celebrity Expert Marketing. To see how Greg can help you to create your own Celebrity Funnel, please email wil@celebrityexpertmarketing.com to schedule a complimentary Celebrity Strategy Session today. In this weeks episode, Greg and Nick discuss creating Information Products: The biggest fears, mistakes and common misconceptions people have. Greg shares his journey about how he got involved in the industry and explains that when it comes to information products, your common knowledge is not common with the outside world. People will pay you for the knowledge you already have – people buy people. Being seen as the expert is the most crucial thing you can do in your business right now. Getting your market to know, like and trust you is a foundational principle of building a Celebrity Brand. This week, Nick and Greg give live examples, share ideas to get started and get you motivated to become the best known expert in your field. Once you do this, and become that Celebrity Expert, price becomes no objection and people genuinely want to do business with you, without seeming like a salesman. Please enjoy the episode and let us know what you think by leaving a review on iTunes or sharing this episode with another expert that can be impacted by what we are talking about on these expert interviews. Lately I feel like it takes a whole lot to impress me and not a whole lot to disappoint me. This goes for many things in life and maybe I am just now noticing them more. For instance, when Jen, Colten and I go out to dinner, we are typically in a rush to sit down, order, get our food and get out the door before Colten decides he no longer wants to sit in a high chair and wants to run around like any ambitious 1-year old boy would. We choose restaurant we believe can offer us this courtesy and where we know what we are getting into before we get stuck in a sticky situation. So you can imagine our frustration when it takes 40 minutes to bring out the bread and salads at Carrabba’s and 20 minutes to run a credit card. But what in the heck does this have to do with marketing? Well, everything. We live in a world of instant gratification. We get apps on our phones in seconds. We order things through the TV. We can watch movies with the click of a button or get car insurance quotes while driving on the highway. We expect 24/7 support. Case in point, I am writing this at 11:15 in the evening and checking email from clients and responding to matters with 2 of my vendors, who are both immediately responding. Just before midnight on a Tuesday. Am I an advocate of this behavior? No. I think it’s ruining our ability to disconnect, think and be creative when we are always connected and interrupted, but it is the world in which we live. It’s a reality that I am coming to accept. And so, knowing this, how can you make delivery of what you do faster? At CXM we FedEx overnight Shock And Awe Packages to interested prospects. We FedEx overnight agreements with a pen so it can easily be signed the next morning. When we get the agreement back, we FedEx overnight a Welcome Kit with getting started tips and their new CXM Platinum Members Card. On the other end of the spectrum, there was an event that I went to this past month where I bought materials from 3 of the speakers. It is now 11 days after the end of that event and not 1 has contacted me yet. Worse, only one has even charged my card that was on the order form. Concerning? Maybe. What’s worse is that I am losing interest in what I bought and don’t really remember what one of the offers was. Two of them were information products that could have easily been there, in the room, for me to take home. In a perfect world I should have been given to me in a nice package to take home, while showing off to other attendees over the course of the event to spawn more sales. This is the instant gratification your clients and customers demand. It is why we ship popcorn machines to Celebrity Films clients during the editing process (that is until we bought Amazon out of popcorn machines). During that lull of the editing phase we had to keep the excitement going. Once that excitement starts to fade, it is very difficult to get it back. Your goal is to extend that Honeymoon period with your clients and customers as long as you possibly can. Divorce is ugly these days. It is much more profitable to keep the marriages you already have than to go out, start dating again and remarry. One way to combat this is through expectations. Control the power in the relationship by setting expectations for when your clients and customers can expect things from you. This is as much a part of your marketing strategy as your front end client acquisition process is. Many times we do not market at all to our existing clients and customers as we keep hitting the dating scene to find new relationships when your current relationships are failing. This newsletter is just one of the countless ways we keep in touch with our clients. If you are not sending a monthly (yes, monthly), physical (yes, in the mail) newsletter – you must start. Must. And if you need some help, JW and I have just launched a new program just for developing your Newsletter and 365-Day Marketing Calendar. You can learn more about that program here. Nick and Greg are back in episode #6 of the Celebrity Branding You Podcast. In this episode Nick and Greg are talking about creating affinity in your marketplace and how to connect with like minded people that want your products and services. It comes to an emotional connection that can be born from a number of points from the sports team you root for, to the colleges and universities you have graduated from to the type of family you grew up with and countless other factors. In this episode Nick and Greg explore the concept of affinity and show you how to add it into your Celebrity Brand! In this episode of the Celebrity Expert Marketing Minute, Best-Selling Author Greg Rollett discusses how your direct mail envelope is like an email subject line – if it doesn’t excite people and grab their attention, no one is going to to open it. This is critically important when sending direct mail. If you are spending the money to write it, design it, print it and put a stamp on it, you want to do everything that you can to get it open. This video shares some examples of envelopes and why they work, and don’t work to get your marketing messages read. In this episode of the Celebrity Expert Marketing Minute, Best-Selling Author Greg Rollett describes using known celebrities to boost your own celebrity by association. This is a great way to borrow social proof when entering a market or trying to build trust within your marketplace. In the video Greg shares an example of a local radio show playing on a station that syndicates Glenn Beck, Rush Limbaugh, etc and how he was able to work these celebrities into the conversation to create instant trust, recognition and credibility for the local talk show hosts. This is just one example of building your own celebrity through being associated with other well known figures in your space. For those of you looking to build more trust with your market, increase your visibility with your prospects and become the ultimate celebrity in your marketplace, we have a few openings for private consultations this month. You can request a consultation by emailing greg@celebrityexpertmarketing.com. In this episode of the Celebrity Expert Marketing Minute, Best-Selling Author Greg Rollett shares a great attempt at personalizing direct mail marketing, how that attempt failed to hit the mark, and some tips on how you can avoid making the same mistakes. If you would like to talk with Greg about how we can add your personality into your marketing campaigns, simply email greg@celebrityexpertmarketing.com to request a 15-minute Celebrity Expert Marketing consultation. We always get excited when we finally get a marketing package in our hands. It can be a direct mail campaign and the letter is in our mailbox. Or it can be a shipment from the printer with new invitations, postcards, information products or catalogs. There is just something about the allure of ripping open a box to see your hard work come to life. Even better is when our clients use the pieces and begin attracting new patients, new clients and prospects that are ready and essentially pre-sold before they ever walk in the door. This is one such package that is still being added to on a regular basis. Today I am jumping the gun and showing you a little preview of a Shock And Awe box from a financial advisor in Cincinnati, OH. Brad is a great guy, with a great client base and one of the ways we are helping him to grow his business this year is through taking care of referred in names. That means we want to treat referrals like gold. As such, we had to get a Shock And Awe Package that would stand out from the rest of the mail a pre-retiree was getting from “other” advisors. As you can see from the box, the new letterhead, the enclosed newsletter and magazine-style piece, Brad is not just another financial advisor pedaling his products and services. No way! He is the Celebrity Expert(R) who is offering advice, information and expertise to help those in his community to get the answers they need about meeting their retirement needs. Big difference from “the other” advisors who just want to fill up a dinner seminar. This is only way of a big collection of pieces we have been working on for Brad over the past few months and it goes to show what a difference a fresh approach to the quality of materials, the copy, the design and the presentation make in getting top-tier, affluent clients to not just pay attention to you, but to take that next step and do business with you. And like I said in the introduction, I simply cannot wait to get this package into the hands of Brad’s community and prospects and see the difference it’s going to make in his business. If you would like to see how we can help you to develop a similar package for you business and help to position you as the Celebrity Expert in your market, simply visit our services page or send me an email to greg@celebrityexpertmarketing.com. In episode 3 of the Celebrity Branding You Podcast, Greg and Nick are testing out a new format! Live video interviews. And to make it even more exciting they have invited 1/2 of the tandem behind I Love Marketing, Dean Jackson. Dean is a marketing legend working with thousands, upon thousands of business owners all over the world and has made a name for himself by helping realtors to use real, direct response marketing to impact their commissions. He, along with Joe Polish, have created the leading marketing Podcast on iTunes with over 100 episodes and counting with the likes of Dean Graziosi, Brendan Burchard, Frank Kern, Tony Robbins and others stopping by as guests. In this episode Greg and Nick get Dean talking about referrals and the process and system to consciously create more referrals in your business. This is a can’t miss episode, and is one where you need to watch with a pen and paper handy so you can take notes and then implement the strategies that Dean, Nick and Greg share in this episode. So, head on over to iTunes now and download this episode of the Celebrity Branding You Podcast. After you listen, we would love for you to leave us a review and tell us what you think of the show, this episode and how we are helping to bring out the Celebrity in you! For more information on Dean, please visit him at I Love Marketing. In today’s Celebrity Expert Marketing Minute video, I am sharing some of the best envelopes that we have received and used to get the attention of the addressee. The envelope acts much like a subject line and it’s sole goal is to get your letter or message opened and read. Take careful time to create, design and label your envelopes so your direct mail doesn’t end up in the “B” pile as Gary Halbert famously described. When people sort their mail, they do so over a waste basket. Mail either goes into Pile A, the important stuff they need to look at right now, or Pile B, the trash. Having a strong envelope, that uses specific ingredients ensures that your important message gets read. Enjoy the video! If you need help creating your next Celebrity Driven Direct Mail Campaign, contact us today by sending Greg an email. He can be reached at greg@celebrityexpertmarketing.com. Today it’s not enough to just do what you have said you are going to do. That is what is expected of us as experts. We must go above and beyond and do what we call, Surprise and Delight. This is when you go out of your way to do something unexpected to get the attention of your clients during the process of being a client. With our film business, we do this by sending life-size, old school popcorn machines to our clients while the film is in editing. It reminds the clients that we are hard at work editing their film and gives them something to talk about at dinner parties and social engagements. In the video below, I share how someone gave me a taste of my own medicine – by Surprising and Delighting me. The gift was a new book written by Paulo Coelho sent to me by Brendon Burchard. Great job Brendon! Now that you have some ideas to Surprise and Delight your audience, let me know how you are going to take action and be seen as the Celebrity Expert in your market by using these tactics. Now that you have seen some examples and have an idea of how to use educational marketing in your business, it’s time to create your own educational pieces. This begins by identifying who the ideal person it is that you want to attract. Who is most likely to buy your products and services? Who do you want coming in to buy your products and services? Once you’ve identified the who, you need to look at the deep down problem that the market is having. What keeps them up at night? What would make their life better? The best place to find this information is to ask your current customer base. Why did they buy your products or services? What solution were they really looking for? Why did they choose you and not someone else? Now we have our market and we know their problems. Our next step is to map out that problem. What feeling are associated with their problem? What is going on in their mind? How is it affecting their day-to-day decisions? How is it affecting their income? Their relationships? Their family? Start writing these answers down as they will become the beginning of your educational marketing piece. Talking with the market, making them understand that you know what they are going through and that they are not alone. Next you need to start presenting the solution. How can their life improve? Paint the picture of what life can look like once they take action on a solution. Begin to educate them about the solution. Teach them the things you know about what can happen with the right solution. Present the solution using logical steps, in a do-this and then do-that fashion. All along you want to integrate proof, case studies and reasons why you are the expert they need in their life. At the end, offer your solution. Give them a place to take the next step. This entire process can be done in any kind of media. It happens on infomercials selling blenders and jinsu knives and on webinars, in newsletters, online product launches, in books and even through email sequences. Just remember to create a purpose with your marketing pieces. No more free reports to have a report. Give your marketing purpose to educate your prospects and get them one step to doing business with you. If you would like to see how we can help you add educational marketing systems in your business, please send an email to info@celebrityexpertmarketing.com or call us at 800.980.1626 today. I hope you enjoyed this series and I look forward to bringing out the Celebrity in You! This is the 3rd in a series of 4 posts on Educational Marketing. In today’s piece we are going to dissect how 3 different businesses use educational marketing to attract and convert clients in their business. Today you cannot look anywhere online without seeing educational marketing at work. A select few are much better than others at truly educating their marketplace, making them aware of the problems they are having and educating them on the solution they are presenting to fix that problem. One of the leaders in this space is Rich Schefren from Strategic Profits. Rich has been a successful entrepreneur in the men’s retail and hypnosis center business and upon selling his hypnosis centers found his way into online marketing. When he launched his coaching and consulting company, Strategic Profits, Rich created a manifesto called The Internet Business Manifesto that was read almost overnight by millions of struggling online marketers who all the problem of opportunity seeking and were not business building. This manifesto served as a textbook for many online marketers, educating them on who they were, identifying with them by sharing his story of opportunity seeking online. Then he shared the opportunity, which was to overcome the shiny object syndrome and going from tactic to tactic and becoming a strategic entrepreneur. Finally through the manifesto, Rich positioned himself as the ultimate expert in this arena, by virtue that no one else was talking about these ideas, these problems and offering a clear solution, backed by proof, case studies and his own success. After reading you were certain that Rich was the clear choice, the clear expert and had the solution to help you alleviate your online business problems. Today Rich has taken his manifesto and now uses the same principles in an online webinar. The entire 2-hour presentation is filled with education, strategically positioned to attract the right kind of client, revealing the problem that this right kind of client is having and then using proof, experience and marketing to reveal that he is the ultimate expert and solution. In your marketing, you want to model a system like this. Creating free reports or webinars that are educational marketing pieces and not just a report to have a report, or have a webinar to have a webinar. Always be using these marketing pieces to educate your prospects using the 3-step approach. The Dicks + Nanton Celebrity Branding Agency is a shiny example of using educational marketing to build their client base and attract the right kind of client into their business. 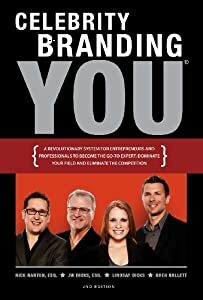 When they began the business, Nick Nanton and JW Dicks wrote a very educational and informational Best-Selling Book, Celebrity Branding You. To this day the book is used as a tool to educate their market about their 5 step branding process to help you become a celebrity in their marketplace. Each of the 5 steps relate to a service that they offer from helping authors become Best-Sellers to getting experts and entrepreneurs featured on major tv and print outlets to using media like branded films. All of these are presented as problems and then opportunities throughout the book to help teach authors, experts and entrepreneurs to grow their brand. They knew that by educating their clients on the benefits and effects of celebrity branding, they would be positioning themselves as the experts and authorities on the subject. And it was all done through a well-written and better positioned book. Today, along with the book, Nick and JW are using whitepapers and reports that relate to each segment of their business that go right through the 3-steps in the educational marketing process. For their book publishing business they have created a report on the 7 Myths Of Publishing. This report overcomes the 7 biggest objections that people have in joining their publishing company. The report magnetically attracts the right kind of author, talks about some of their fears and doubts about the publishing process and offers a clear, expert solution, with proof and examples of others just like them that have benefitted from co-authoring a Best-Selling book. Another report on “Branded Films” has helped to develop an entirely new brand, Celebrity Films. This report again fulfills the same 3 requirements of great educational marketing and those that read the report and then contact the agency are already sold on the process and need the solution in order to grow their business. That is very powerful and makes the job of selling much, much easier. The financial services industry is very competitive and people are more skeptical than ever on who to select to manage their money. This brings a big problem to those in this industry to build trust and grow their clientele. The best financial planners know the power of educational marketing to position them as the go-to expert, someone that can be trusted and someone that you truly would like to do business with. Stephen Lomsdalen from Scottsdale, AZ is one such advisor doing this successfully in his market. 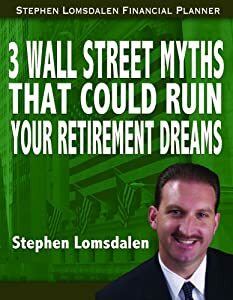 Stephen has created a book of his own, The 3 Wall Street Myths That Could Destroy Your Retirement Dreams. Just from the title of the book he is attracting a certain type of market, those about to retire and who are worried about the current state of Wall Street. On the inside of the book, Stephen talks about the challenges and fears that his market is currently having. He relates to them in a very intimate way, painting a picture of their feelings and insecurities about the future of their life after retirement. He also shares the 3 strategies that this age-class has been taught and told over the years that are not accurate and relevant to their retirement plans today. By the end of the book, the only thing you want to do is pick up the phone and call Stephen for a consultation. This is very powerful marketing, and was all created through an educational piece, to teach his market about their problems and presenting solutions so they can come up with their own logical conclusions to what they want to do next. In the next post we will give you some tactical steps to adding educational marketing into your own business. 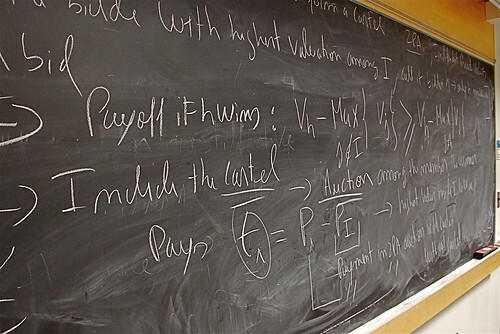 Many experts and entrepreneurs think they are using educational marketing, especially online. They have created a website that is supposed to attract and educate individuals coming to their website. It is filled with features and benefits, services offered and potentially even some testimonials and case studies of work they have done. But most do not truly educate and help the individual move closer to finding a solution to their problem, and most of all, it does not move them closer to knowing that their real solution to their problem is you! If you know the importance of educational marketing you might have special reports, white papers, eZines and newsletters, videos or other forms of media that were designed to give valuable information to someone that is unfamiliar with you and what you do. Where these media pieces fail to become truly effective pieces of consumer education is in their ability for the reader to draw the conclusion that they are now more educated about the problem they are having, the opportunity to find a solution and that you are indeed the right expert or business that they must do business with in order to get the solution they desire. To attract your exact target market and reveal the problem they are having in such a way that they feel, deep down, that you know their problem better than they do. To reveal, and then teach, that there is an opportunity to stop the problem they are currently having. To educate the reader on how you are the only solution, the ultimate expert, that can truly help them get the results they desire. In the next post in this series, we will take a look at how successful businesses are using these strategies today to educate their clients that they are the clear choice of a solution to their problems. This is part 1 in a 4 part series on Educational Marketing. If you are like most entrepreneurs, experts, authors or business owners, the concept of hard selling is not an attractive one. In fact, you probably find ways to spend your time doing anything but cold calling, direct selling or getting on the phone trying to close a prospect. I know I have had my share of “working distractions” from checking Facebook posts to looking at website statistics to checking my email for the up-teenth time. And no matter how many times we perform these activities, no money is going to be deposited into our back accounts. The good thing is that with the tools and information available to you today, you don’t need to spend every minute of every day selling. I’m not saying you do not have to sell at all, because you do, but using a concept called Educational Marketing, you can begin to attract and position the right type of client or customer into your business, which ultimately makes the selling part easy. This is a result of selling themselves on your products or services through educational pieces that you have created to paint a picture of what you do and how it helps individuals like them. Educational Marketing is the process of creating educational pieces of content that move a prospect into a position of realizing that you are the ultimate expert that can help them solve their problem. Think about your best clients or customers. Who are they? Where did they come from? How did they make the decision to purchase from you? Most likely it was because they were educated that you were the best solution. They had information on who you were, what you did and how you can help them. Imagine that you were a car dealer and had 2 potential customers on your lot. The first customer was a first time car buyer and wants to test drive 10 or more cars before talking it over, asking more questions and then price checking with your competition. The second customer comes into your lot, already educated that you have a red pickup truck, 2 doors, with power windows, 6 disc CD changer, 4 wheel drive and all the other bells and whistles. They also know the price, have been pre-approved by their bank for a loan and are ready to walk out with the keys in a matter of minutes. Which customer do you wish you had more of, walking into you business everyday, attracted to your business and your products and services? I hope you said customer number 2. In this scenario, your educational and informational pieces, from the web, print, direct mail, or your phone sales team has educated your customer so they can easily make an informed decision. They have already sold themselves as to which product they want. The customer had a problem and educated themselves on a solution. The education they found through the above sources led them to create their own opinions and come to the occlusion that you were the solution to their problem. This empowers the customer and makes them feel important, comforted and confidence in their decision. They were not sold to, they made their own informed, educated decision. This is a very powerful distinction when done correctly and has a profound impact on your business. Are you using educational marketing in your business? Let us know how in the comments below. Last week Greg shared a live webinar where he revealed 5 current celebrity driven marketing campaigns that are currently being used to drive new clients, create excitement, fill events and most importantly – close sales. Below is the replay of the webinar. This is very powerful information when applied, just as it has been for our clients here at CXM. Let us know what you think of these 5 live Celebrity Expert marketing campaigns in the comments below.